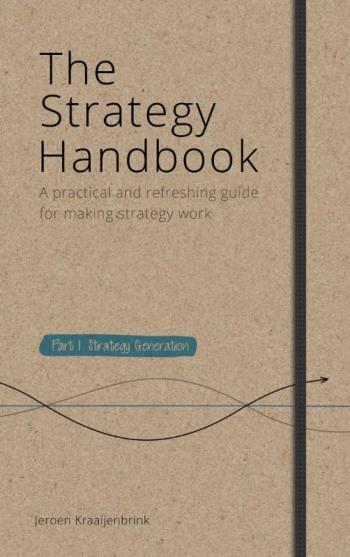 In this first part of The Strategy Handbook Jeroen Kraaijenbrink offers a refreshing and practical approach to strategy generation in which creativity, interaction, and value creation are central. Based on more than a century of insights from the strategy literature and on a trial and error process with strategists from over 300 organizations, the books purpose is as relevant as it can be: making strategy work. In an accessible and down-to-earth style The Strategy Handbook guides you through a complete five-step approach to strategy generation. It comes with a wealth of advice, tools, and exercises that can be immediately applied in the everyday practice of any organization wanting to improve its strategy. The book is easy to understand and to apply. Rooted in research, though, it demonstrates an acute awareness of the subtleties of strategy generation. Through this combination of simplicity and depth The Strategy Handbook is a must-read for both novices and more seasoned executives, managers, and entrepreneurs.